Any Big Plush Animal can be Ordered UN-Stuffed (with NO stuffing inside)! 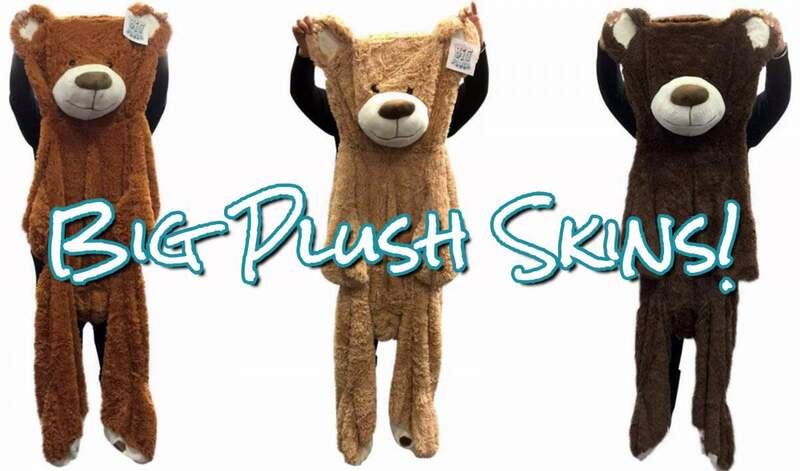 You can order the UN-stuffed outer plush "skin" of any Big Plush animal. Doing so will give you a 50%-Off discount savings from the regular, fully-stuffed price. CALL US at 1-800-238-9481 to place your order for un-stuffed plush skins. or buy the stuffing here at Big Plush.